On my last trip to Tokyo I could not help but remember how important it was when living there to choose an apartment with sufficient light — something I now take for granted since I moved to Los Angeles. 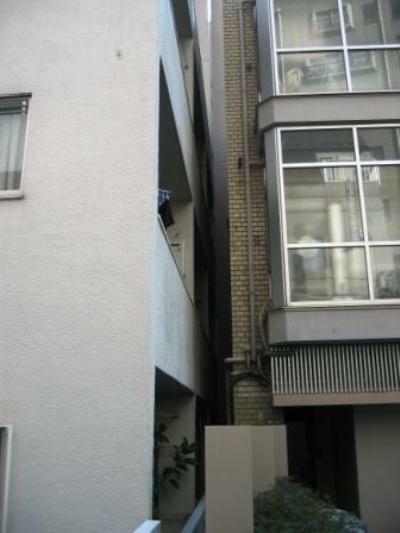 When I first moved to Tokyo, I looked at an apartment in the building on the left, on the second floor, the second apartment in. The balcony, which is barely visible, provided the only real source of light. Needless to say, I did not take that apartment. But other buildings do more to maximize natural light. In the photo below, which I took from my hotel room on a recent visit to the city, note how the taller buildings have a graduated set back as the floors go up, thereby increasing the amount of light available to those on lower floors. I am not sure if this set back is mandated by planning codes and, if it is, whether that has always been the case. 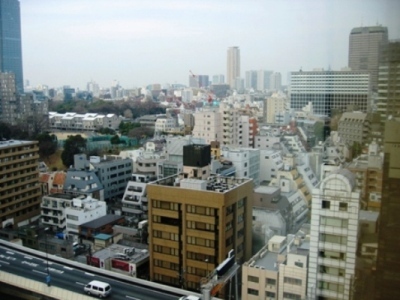 This entry was written by Donal Hanley , posted on Tuesday August 21 2007at 08:08 pm , filed under Architecture, Asia Pacific, Interior Space and tagged Housing, Tokyo . Bookmark the permalink . Post a comment below or leave a trackback: Trackback URL.